As has been done every year since 1991, in 2003 the Berliner Philharmoniker commemorated their founding by performing at the Mosteiro dos Jer�nimos, the former Hieronymite monastery in the vicinity of Lisbon. 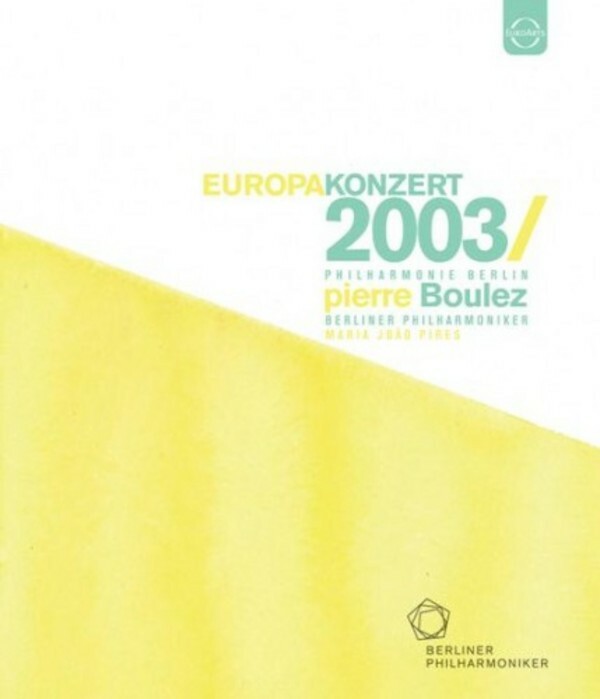 This performance features great artists, such as pianist Maria Jo�o Pires, who is known as one of the greatest Mozart interpreters of our time, and is joined by maestro Pierre Boulez. The repertoire includes pieces by meaningful composers such as Maurice Ravel, B�la Bart�k, Wolfgang Amadeus Mozart and Claude Debussy.